The Grande Dunes community did it again. Villa Firenze is the second of two luxury villas communities located in the private Grande Dunes neighborhood. These villas include a fireplace, garages, private elevators, verandas, and maintenance-free living. The Villa Firenze buildings are small, yet the units are large and spacious. Some villas overlook the water while others overlook the fairways of the award winning Grande Dunes Resort Golf Course. 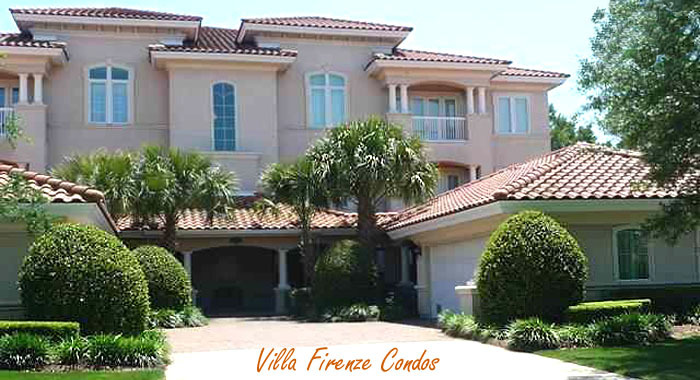 It only takes four words to describe Villa Firenze...Villa, Luxury, Grande Dunes. Villa Marbella is another fine community located in popular Grande Dunes. These villas are located next door to the tennis and swimming complex and sit directly on the Intracoastal Waterway. The Villa Marbella residents enjoy fantastic views from their large balconies overlooking the water and boats passing by. The interiors are well appointed with granite, tile, marble, and well thought-out color schemes. The buildings have keycard and keypad entry for added safety for those that use these as second homes and beach retreats. If you are looking for an upscale luxury villa then it is worth setting up a preview. You will be impressed with what the Villa Marbella at Grande Dunes has to offer its residents. Remember, Grande Dunes Villa Firenze and Villa Marbella homes are not just condos...they are villas. Come see the difference. Call our Grande Dunes expert Greg Harrelson at (843) 536-8383 for more information or a tour of the homes for sale in Villa Marbella or Villa Firenze at Grande Dunes.